The Andrews Labor Government has launched a new campaign to encourage Victorians to use reusable shopping bags, ahead of a 2019 ban on lightweight, single-use plastic bags. Minister for Environment Lily D’Ambrosio today launched the Better Bag Habits campaign, to remind Victorians to remember their ‘Bag, Wallet,.. The Andrews Labor Government has announced three building companies will develop energy-efficient, environmentally sustainable homes for sale in Melbourne’s high-growth suburbs. 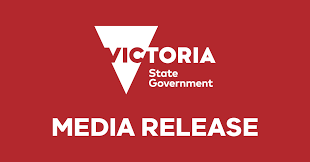 Minister for Energy Lily D’Ambrosio today announced $2.18 million for Stockland, Metricon Homes and SJD Homes as part of a Zero Net Carbon Homes pilot designed..